Last week it was apricots, this week it’s yellow plums that are at their peak at the local orchard. Fruits and veggies don’t care about editorial diversity. Soon I shall be writing about homegrown tomatoes twice in a row. 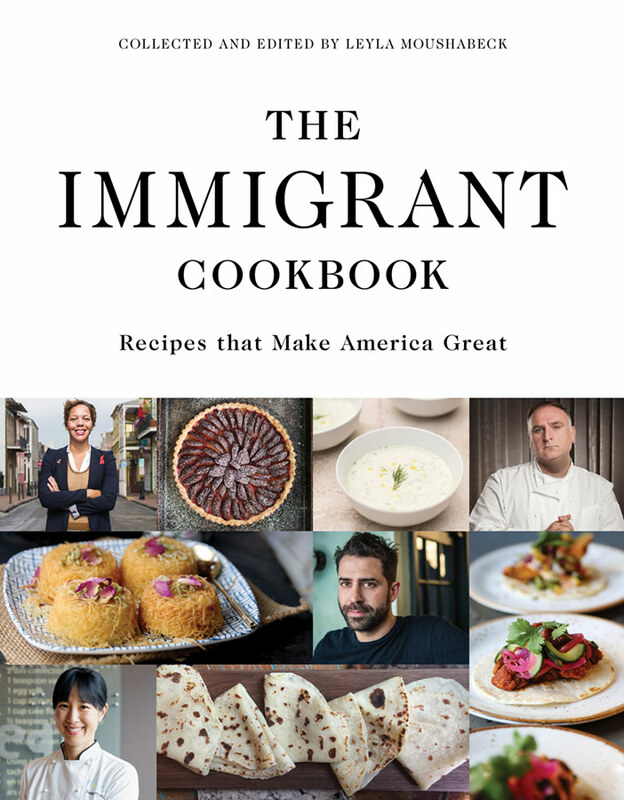 I bought The Essential New York Times cookbook a couple of weeks ago and I know it will be my main reading for the rest of the summer. As for cooking from it, I wanted to begin with something really easy so I made ricotta – for the first time. It was easy, though I am not sure I will make it again, for two reasons. When it was all over, I had almost a gallon of whey left over. Being the thrifty cook that I am, I could not possibly just dump it down the drain. So I froze it in 3-cup batches, enough to bake 10 loaves of bread. I only bake bread about every ten days, so I quickly realized I would soon have nothing in the freezer chest but whey. Also, I must have drained the ricotta for a bit too long, although I did not squeeze it as the recipe instructed. To use up the ricotta, I remembered the Ricotta Cheese Pie from The Joy of Cooking as very good. I took my cues from that filling, but modified it to a crustless pie. 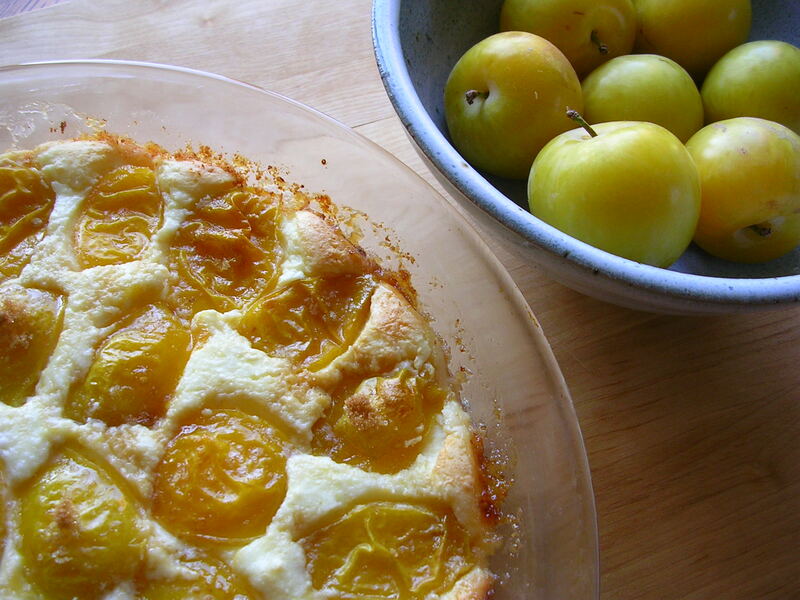 Because the yellow plums were so juicy, it did not matter that the ricotta was a bit on the dry side. Whether I make ricotta again or not, and whether you call this baked custard or crustless pie, I got myself a new recipe for a quick and light summer dessert. 2. Butter the bottom and sides a 9-inch pie pan and sprinkle with breadcrumbs. Turn it upside down over the sink and knock off any excess crumbs. 3. Beat the ricotta, eggs, lemon zest and sugar with an electric mixer until well combined. 4 Pour it into the prepared pan and spread evenly with a spatula. 5. Halve the plums and remove the pits (this usually works best when twisting them slightly but sometimes the pit clings. In that case remove the pit with a small paring knife. 6. Arrange the plum quarters in circles on the filling. Dot with butter and sprinkle with brown sugar. 7. Bake 30 to 40 minutes in the preheated oven, or until the pie is set but still a bit wobbly, and lightly browned on top. Serve lukewarm or cold.